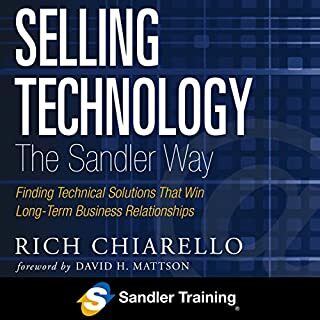 Rich Chiarello offers sales teams tasked with selling technical solutions a proven program for success, based on the Sandler Selling System. 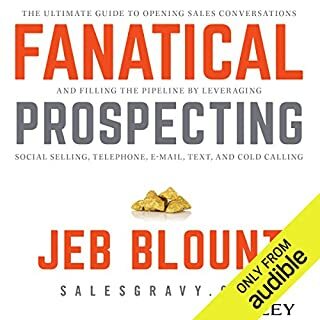 He shows salespeople how to identify the most pressing business problem that their tool, application, or platform solves - and how to create a joint project plan that delivers value for both buyer and seller. Selling to homeowners is different - and challenging. 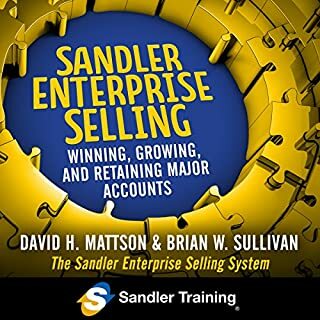 To succeed in this environment, you need the Sandler Selling System. 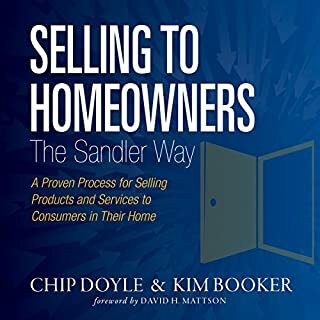 Selling to Homeowners the Sandler Way shows how the Sandler Selling System delivers career-changing results for salespeople who close deals in the buyer's personal, private domestic space. This kind of selling applies to dozens of industries, from remodeling to insurance. All prospects lie, all the time. Never ask for the order. Get an IOU for everything you do. Don't spill your candy in the lobby. 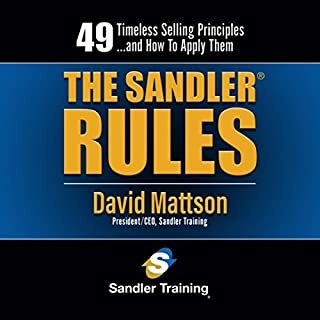 Until now, these unique rules (and 45 more) were given out only to Sandler Training clients in special seminars and private coaching. 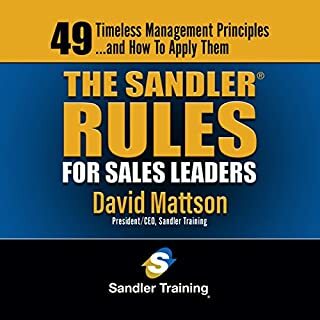 After three decades of proven success, the secrets are out in The Sandler Rules. And when salespeople know the rules, they get results. This practical, step-by-step book is designed specifically for selling teams committed to high achievement in the enterprise environment. You'll learn how to master 13 selling tools integral to your SES success - like the KARE Account Planning Tool, Growth Account Booster Tool, LinkedIn Levers Tool, and Client-Centric Satisfaction Tool. You'll discover practical solutions to the vastly complex challenges in enterprise organizations - extended sales cycles, wide buyer networks, or significant investments in pursuits. 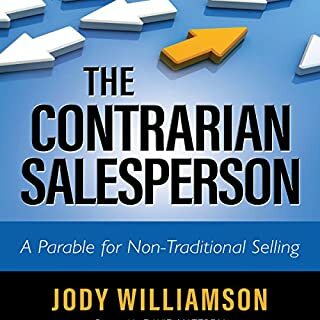 To keep his job, struggling salesperson Alan Atleaster must master the Eight Rules of the Contrarian Salesperson - the essential elements of non-traditional selling. 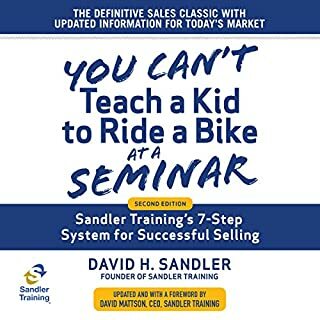 Based on the field-tested principles of the Sandler Selling System, The Contrarian Salesperson gives sales professionals a compulsively listenable primer on the eight essential elements of non-traditional selling. 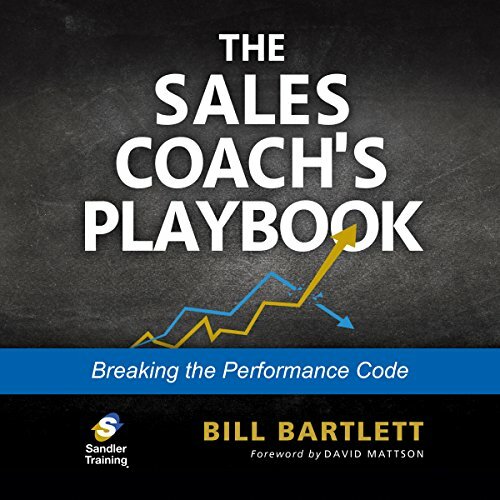 The definitive playbook for effective sales coaching, based on the proven principles of the Sandler Selling System. There is no one-size-fits-all sales coaching model. There are only approaches that have been shown to be successful in particular situations. 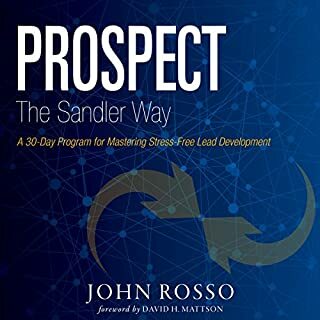 Acting as coach, the manager must identify each individual salesperson's personal "success code" and use that code to unlock the salesperson's potential for success. It is always up to the coach to choose the right approach for the salesperson and the situation. 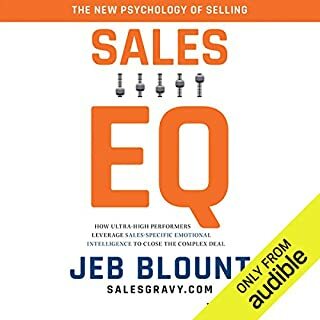 In this sense, effective sales coaching is a series of adjustments to particular people and circumstances. 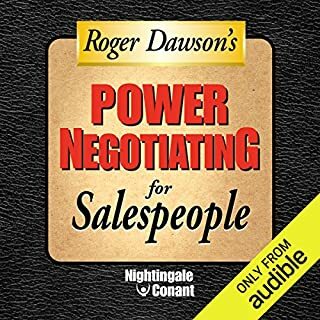 This audiobook offers an overview of the sales coaching practices the best Sandler-trained sales coaches have found to be most effective over the past four decades, and a discussion of the situations where they are most likely to be useful. Albert Einstein said, "the definition of genius is taking the complex and making it simple." Bill Bartlett did that in this book. It not only taught me how to be a better coach, but it reminded me of so many behaviors that I don't do anymore, that are simple. 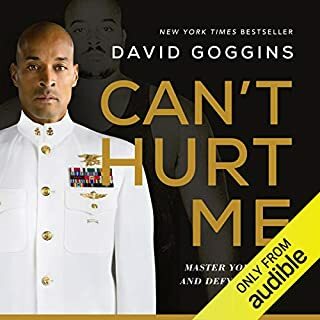 This book made me a better coach, but more importantly, it helped those I coach become more successful and happier! Thanks Bill!